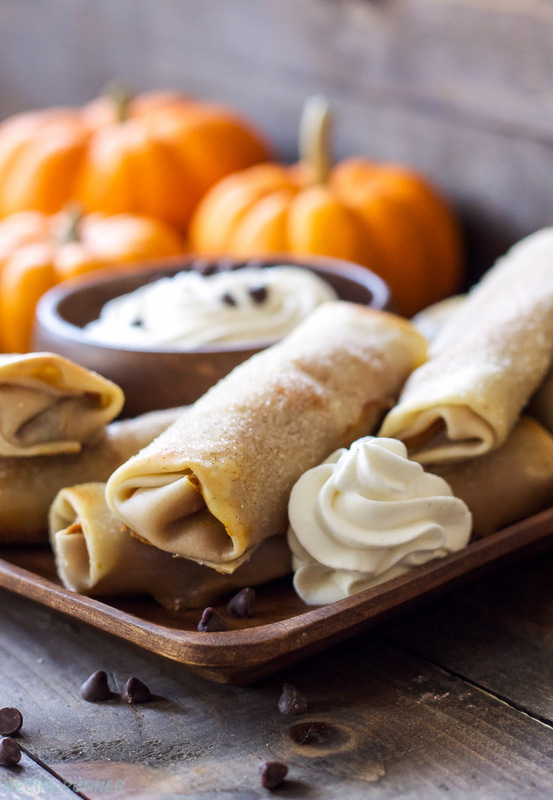 Pumpkin chocolate chip cheesecake filling all wrapped up in an egg roll wrapper is the new and improved way to eat your favorite fall pie! 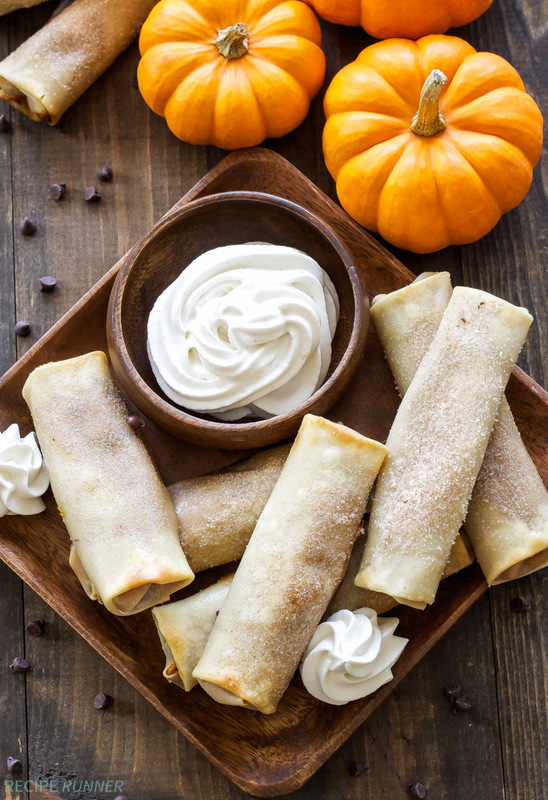 Dip it in whipped cream because it is a dessert egg roll after all! Remember last week when I made those Baked BBQ Chicken Egg Rolls? Yeah, those were good. Well I just happened to have some egg roll wrappers left and I knew I couldn’t let them go to waste. 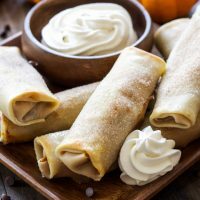 Instead of making another savory egg roll I let my sweet tooth take over and decided to make some dessert egg rolls, Pumpkin Chocolate Chip Cheesecake Egg Rolls to be exact! I’ve made dessert egg rolls in the past. These Baked Apple Pie Egg Rolls are always a hit and so easy to make too! Since I already had the apple pie flavor covered I decided it was time to make a pumpkin version and what better way to do that then to make it over the top with cheesecake and chocolate chips! The filling for these egg rolls is simple. Pumpkin puree, cream cheese, sugar, vanilla, and all the pumpkin pie spices. Once you get the filling beaten together and smooth, just fold in some mini chocolate chips. The hardest part about stuffing these dessert egg rolls as with stuffing any kind of egg roll, is not to over fill it. My first batch was an overfilled disaster. The egg rolls split open while they were baking and half the cheesecake filling oozed out, thank God for parchment paper! 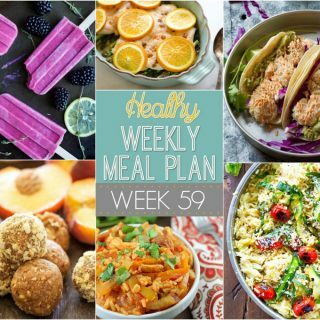 To avoid this mess don’t be greedy and stick to filling the egg rolls with no more than a tablespoon of the pumpkin cheesecake. If by chance they decide to split open anyways, you can easily save them. Just use a knife and push the hot filling back in as best you can. Let the egg rolls cool completely before moving them again and they should self-seal themselves back up. 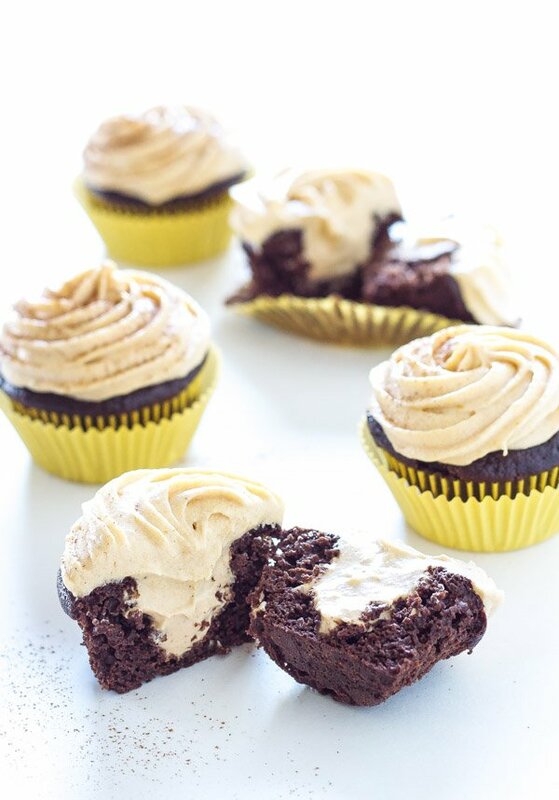 No point in throwing out a perfectly delicious dessert just because it got a little messy. 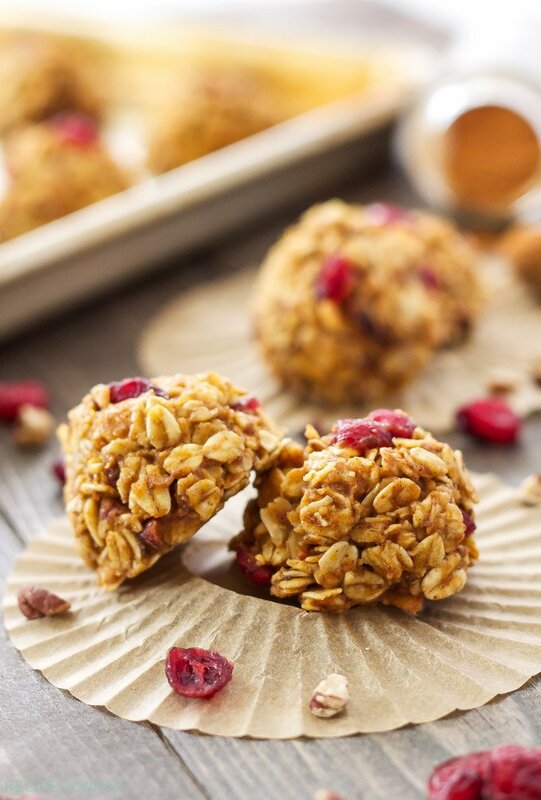 People won’t even notice once they take a bite and taste how delicious it is! 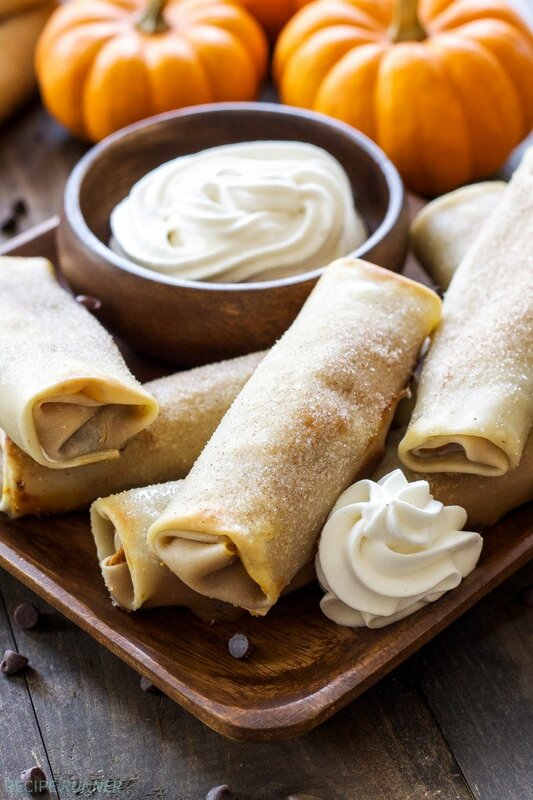 These pumpkin chocolate chip cheesecake egg rolls can be baked plain or you can brush them lightly with melted butter and sprinkle on some cinnamon sugar. I know it’s a few more calories, but it’s dessert. 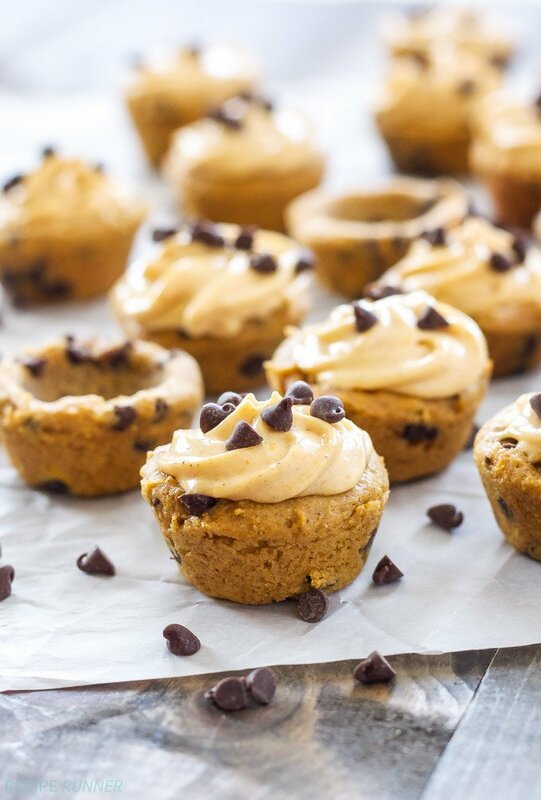 Which is why I also highly recommend serving these with whipped cream, because who doesn’t want whipped cream with their pumpkin pie, am I right?! 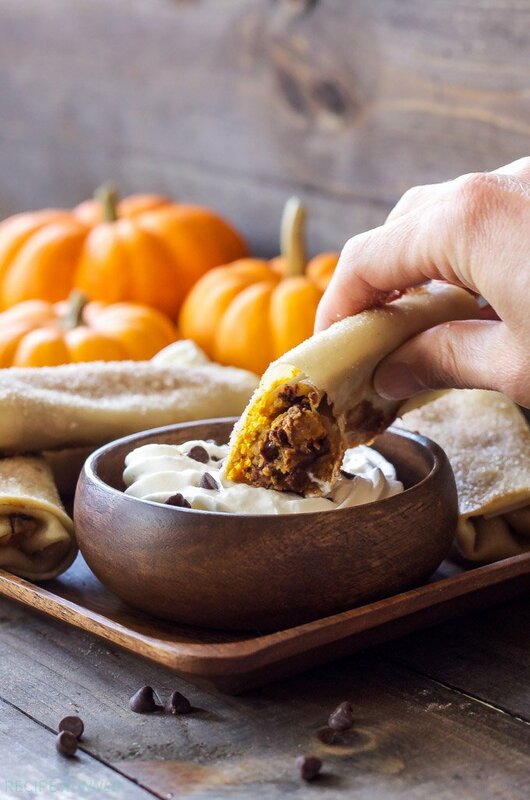 Do yourself a favor and make these pumpkin chocolate chip cheesecake egg rolls tonight. Not only will they make you happy, but everyone you share them with as well! In the bowl of a stand mixer with the whisk attachment or with a hand held mixer add in the softened cream cheese, pumpkin puree, coconut sugar, vanilla extract, spices, and salt. Whisk together on medium high speed until smooth and fluffy, scraping down the sides of the bowl at least once. Fold the mini chocolate chips in with a spoon or rubber spatula. Spoon about a tablespoon of the filling onto the edge of the egg roll wrapper, leaving a small border. Brush water all along the edges of the egg roll wrapper then fold in the sides and tightly roll up the egg roll like a burrito and place it seam side down on the baking sheet. Repeat the process until all 8 egg rolls are made. Bake the egg rolls for 10 minutes then remove them from the oven and brush the tops with the melted butter and sprinkle with cinnamon sugar. Place back in the oven and bake for another 4 minutes. Remove from the oven and let cool slightly before serving with whipped cream. Avoid over-filling the egg rolls as they will burst while baking. 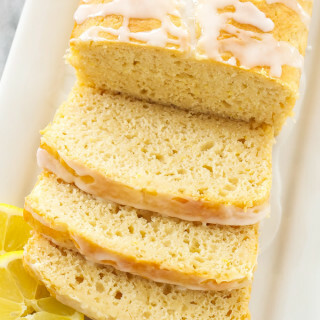 If they do split open while baking, simply scoop the filling back in and let them cool on the baking sheet until they have set. Sweet or savory, I will take ALL your egg rolls :) YUM!! Oh I adore cheesecake and what fun little vehicles to eat them with! 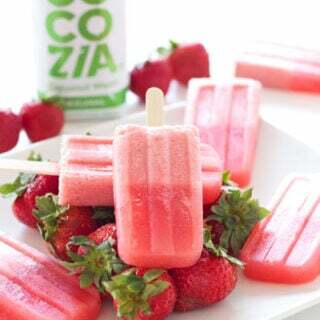 I would gladly devour these! I would gladly devour them with you Meg! These look like my kinda egg rolls. And they remind me a bit of a creamy chocolate chip cannoli. Very creative!